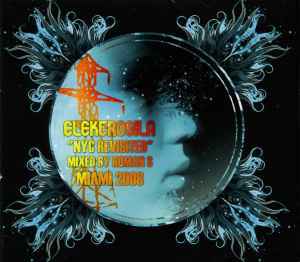 Roman S* ‎– Electrosila "NYC Revisited"
(C)&(P) Elektrosila Recordings & Productions under exclusive license to Style Records. Published by Shelezacka Music (ASCAP) 2007. Conceived, Sequenced, Beat-mixed - over summer - autumn of 2007. Packing: 6-panel digipak in cardboard sleeve.